GlobalTiC Talentrepreneur Award & Forum is the first international award for talented entrepreneurs who are the winners of business competitions in national or regional level since 2007. It is also a vital internship, incubation and investment platform for those nominators to interact with worldwide organizations, enterprises, and investors from all over the world. Come with your innovative business plan, service and products, GlobalTiC Talentrepreneur Award will not only enrich your career and business life, but also bring you to global stage. 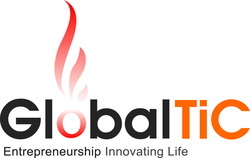 GlobalTiC Talentrepreneur Award will light your brand up. You are surrounded by talented young entrepreneurs, industry leaders and future business partners, all the global networks will enlarge your business scale and speed up your business engine. GlobalTiC Association hold this BIG event with global partners, such as YABT-OAS (Latin America), NSTDA (Thailand), SBF & NUS (Singapore), ELKU (Japan), MDC (Malaysia), SBSEYA (Mongolia), ITRI, III, ICDF, TVCA, MJSTA , Chunghwa Telecom, National Taipei University of Technology (Taipei Tech), National Kaohsiung First University of Science and Technology (First Tech) and 17 universities members of GlobalTiC board who are long term promoters on innovation and entrepreneurship for young people around the world. knowledge of nomination procedure and put your best foot forward.